Some 10.000 people rallied in the Croatian capital on Saturday to demand the government resign, AFP reports. 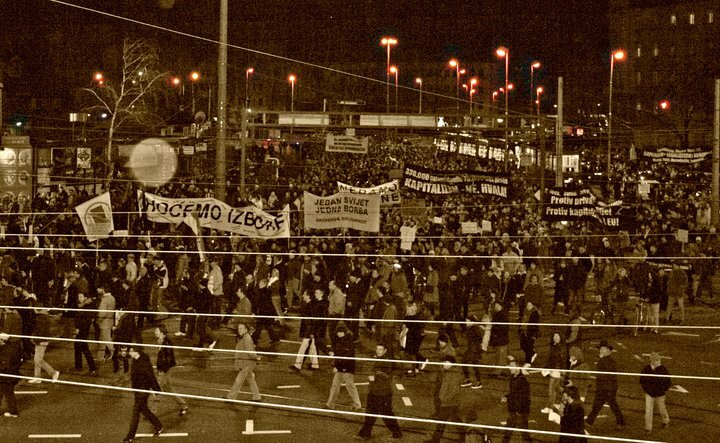 ”Everyone, on the streets!”, “We are Croatia!”, shouted the protesters amid the noise of whistles as they marched from a central Zagreb square to the headquarters of the ruling Croatian Democratic Union (HDZ) party. Since February 22 similar protests, first called through social networking site Facebook, have been organised every other day in the capital, but other towns followed. ”Jaco, just go!” protesters shouted referring to Prime Minister Jadranka Kosor as they approached the HDZ seat, secured by a heavy anti-riot police presence. The protestors marched for three hours, blocking the traffic in the city centre and stopped briefly in front of the agriculture ministry in a sign of support to the country’s farmers who for days have rallied in several regions to demand state subsidies. Police said around 1,000 policemen had been deployed throughout the capital. Students, pensioners, workers and young people took part in the march, demanding early elections to be held and threatening a general strike. 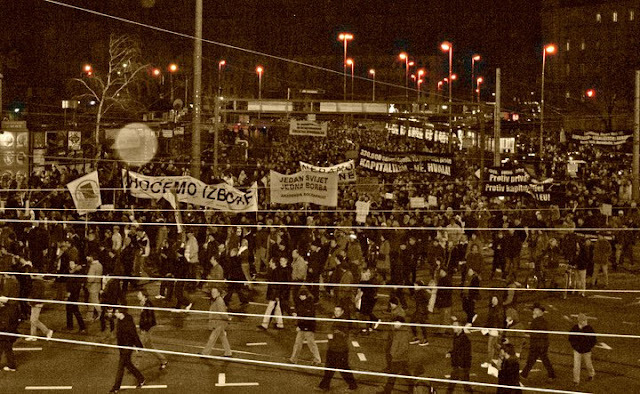 Similar protests were held in several other Croatian towns. ”I hope more people will join us to send a clear message to the corrupt government that it is time to leave,” Zdenka Bosnic, a 62-year-old pensioner, told AFP. Zeljko, a 34-year-old translator who did not want to give his last name, said he only wanted “the government to quit”. Elections are due later this year or in early 2012. Kosor has pledged to hold them by the end of this year but says calling polls now would jeopardise Croatia’s bid to join the European Union, with talks in the final stages. Wow, i had no idea. Hope your country can fix these issues.